Low nutrient ecosystems, such as bogs and swamps, often contain unique plant species specially adapted to extreme conditions. While these habitats are more resilient to generalist invasive species they may be destabilised by introduced specialist invasive species adapted to similar environments. Bladderworts are carnivorous plants with complex modified underwater appendages or “sacs” that trap insects and other small animals; this excess nutrition allows them to survive in low nutrient substrate. Utricularia gibba has been identified as such a specialist invasive species and may out-compete native bladderworts in lowland wetland ecosystems in countries where it is introduced. Utricularia gibba is a perennial aquatic herb without roots. It has slender 25cm (10 in.) stems which may be floating, submerged or creeping along the substrate. The stem leaves are threadlike with hairless margins, alternate, numerous, and between 3 and 10mm (1/8 and 3/8 in.) long. They may be undivided or generally 2-parted at the base and each part may be forked again. The bladders or “traps” are 1 or 2 valve-lidded and borne on leaves that are less than 1/2mm (1/16 in.) wide – it is these structures that trap small invertebrates such as insects. This species has no winter buds. Inflorescence have 1 to 4 yellow flowers 6 to 8mm (¼ to 5/16 in.) long at the end of a 15cm (6 in.) stalk. The flowers are strongly irregular. The lower lips are broad, flat, and saddle shaped. The flower spurs are broadly coneshaped, but shorter than the lower lips. The fruit capsules are borne on erect stalks, and the seeds are winged (Douglas et al. 1999, Hickman 1993, in MDNR 2005). Utricularia gibba is an obligate wetland species and occurs in lakes and lake edges and muddy disturbed sites in the lowland zone; in its native range in Washington, for example, it occurs from elevations of 50m to 100m (160 to 490 feet) (MDNR 2005). Rook (2004) reports that “reproduction of bladderwort occurs sexually by seed when it flowers between June-August and insect pollinated. Asexually by turions (winter buds), the most common method is dense starch-rich leaf masses form at tips of branches in late fall, drop in the bottom and remain dormant through the long winter. Turions begin growing as spring water temperature rises, absorbing leaves to become buoyant\". Bladderworts are carnivorous plants with complex modified underwater appendages or “sacs” that trap insects and other small animals; this provides them with excess nutrition which allows them to survive in low nutrient conditions (DOC 2005). 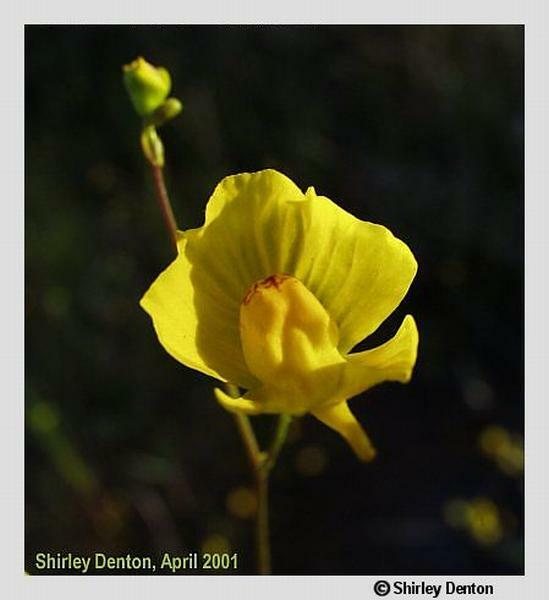 Recommended citation: Global Invasive Species Database (2019) Species profile: Utricularia gibba. Downloaded from http://www.iucngisd.org/gisd/species.php?sc=894 on 21-04-2019. 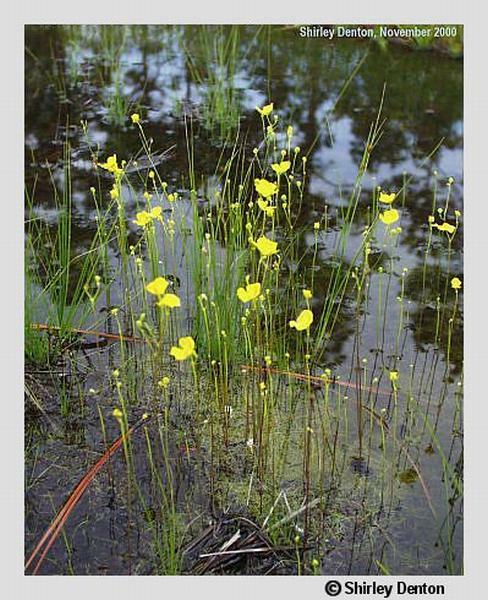 The introduced yellow flowering bladderwort (Utricularia gibba) has spread throughout the gum fields and dune lakes in part of northern New Zealand, threatening to compete with native bladderworts and sundews, including Utricularia dichotoma and U. delicatula, and the sundews Drosera auriculata, D. peltata and forked sundew (D. binata) (DOC 2005). Informations on Utricularia gibba has been recorded for the following locations. Click on the name for additional informations. Department of Conservation (DOC), New Zealand, 2005. Carnivorous Weeds on the Loose. Have you Seen These Plants?. Auckland Conservancy: Auckland. Summary: The Freshwater Biodata Information System (FBIS) contains fish, algae, aquatic plant and invertebrate data and metadata gathered from New Zealand s freshwater streams, rivers and lakes. FBIS provides different ways to search for biodata: choose a predefined search from a list of common searches; use the map view to draw a box on a map and search for biodata; or create your own search for maximum search flexibility. FBIS is offered as a nationally available resource for the New Zealand public, institutions and companies who need access to a well-maintained long-term data repository. Rook, E. J. S. 2004. 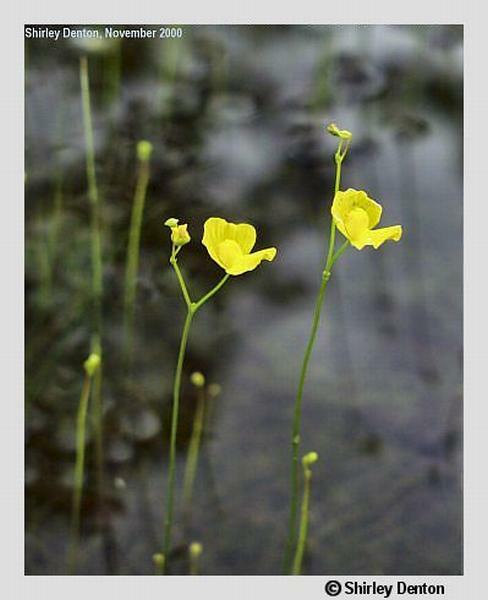 Utricularia gibba: Humped bladderwort. Webb, C.J. and Sykes, W.R. 1997. The Reinstatement of Utricularia protrusa for New Zealand and an Assessment of the Status of the Other New Zealand Bladderworts Based on Seed Characters New Zealand Journal of Botany 35: 139 � 143. Winterton, S.L. Undated. 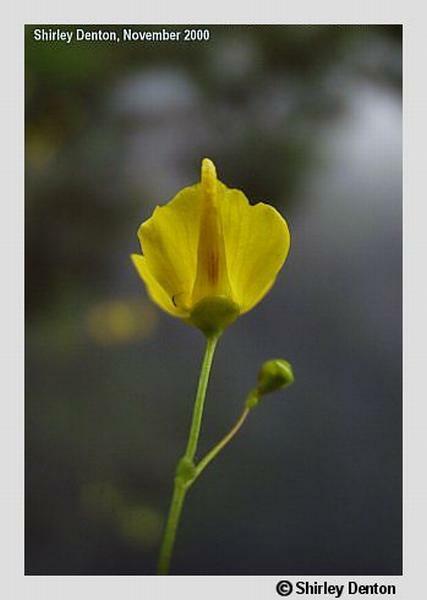 Utricularia Linnaeus. Aquarium Pond Plants of the World. Summary: Description of plants of the Utricularia genus.